Looking for a particular model or want to inquire about pricing? CONTACT US TODAY! Double-Walled Vertical Tube Evaporators For Maximum Production. Hot Gas Defrost for rapid harvest and quick recovery. No moving parts in the freezing zone. Harvest Hold (PHC) for definite defrost in varying temperature. Factory Assembled, Fully Charged & Tested. Please refer to our general catalog for additional information and specifications on Arctic-Temp Ice Makers. 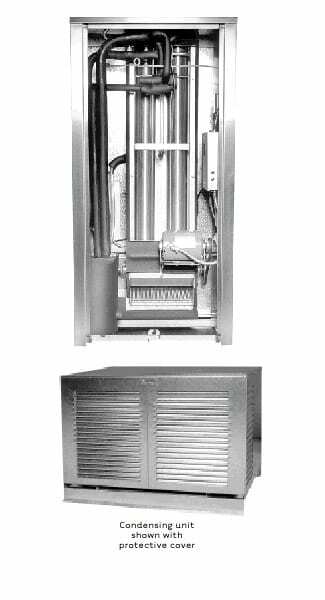 ALL Packaged Industrial Ice Maker’s are fully assembled and thoroughly tested prior to shipping. Holiday Ice can perform your custom work to make the installation easier, future service more convenient, and reduce the installation costs.